We arrived in Puetro Balandra on Tuesday, Nov 16th around 2pm. We had read about the cove in the cruiser’s guide and it looked like something that came from a vacation advertisement. What we found when we arrived was nothing short of spectacular. 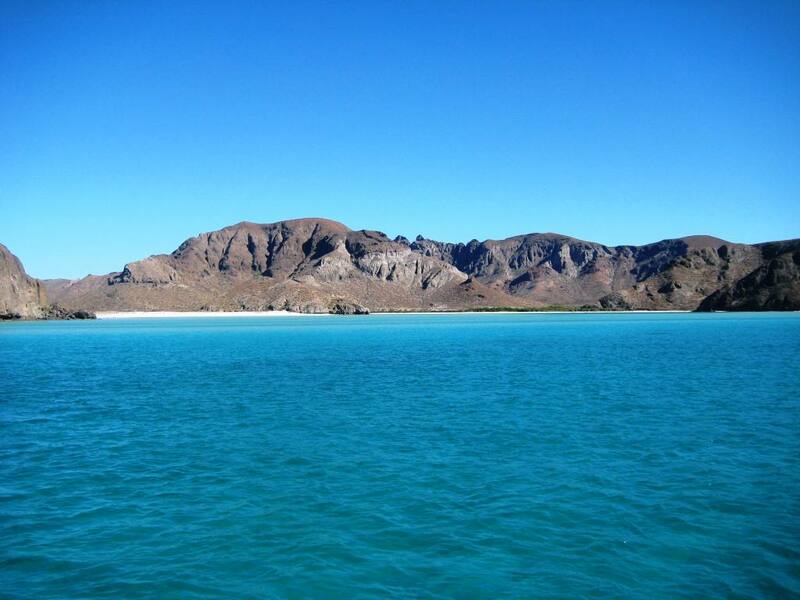 Puerto Balandra has three separate shallow anchorages, with views of the cove from every angle. Of course the water was warm, around 80 degrees and had at least 50 feet of visibility, which made for good swimming and snorkeling. The cove is only about 12 miles East of La Paz and is considered one of the area’s landmarks. There are beautiful cliffs caved by centuries of storm blown waves and hurricanes. 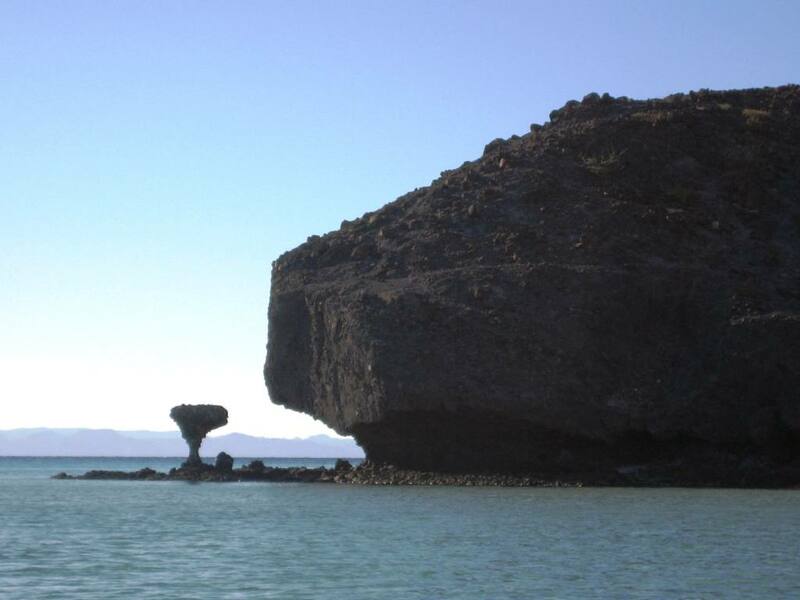 The most prominant feature of the cove is El Hongo (The Mushroom), which appears in many of the tourism photos. You could spend weeks in this cove before you could explore all of its hidden sea floors, beaches and mangroves. The beaches were white sand and fairly secluded, keeping all but the most dedicated hiker from entering our new found land. You really felt like you were isolated from the world. Each night we would go to the beach with the other boaters and have sundowner cocktails, while watching beautiful sunsets across the Bay of La Paz. Although there were about ten boats in the cove, it did not feel crowded and each of us felt comfortable. 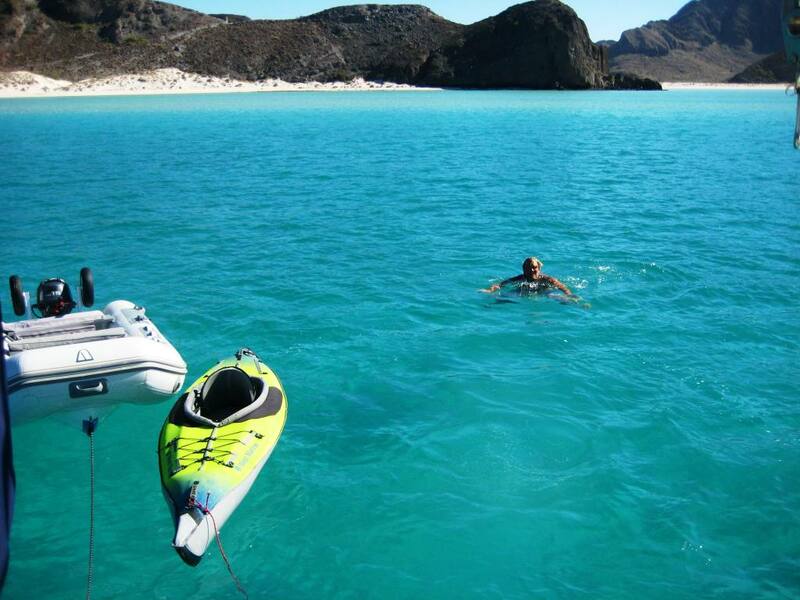 We spent two days in this cove and were very reluctant to leave, but La Paz and the Mexican Cruiser’s Party awaits. On Lori’s Birthday (Nov. 18th) we departed Puerto Balandra and headed for La Paz, two hours away.